Details of the work to be taken up by various departments should be submitted to the portal, set up for crowdfunding, by the departments concerned urgently. 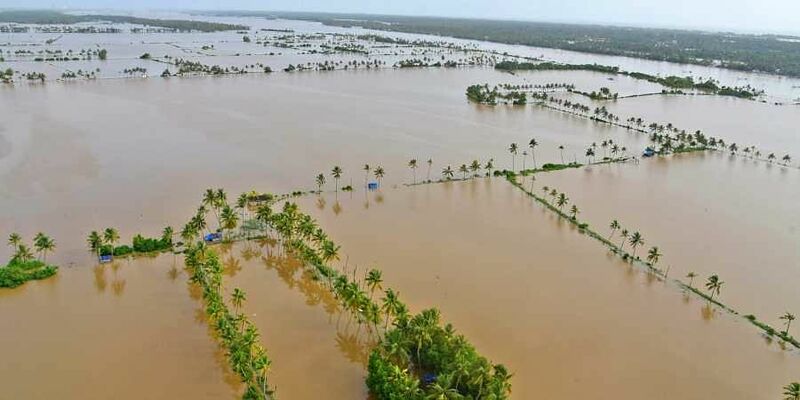 THIRUVANANTHAPURAM: The meeting to review the flood relief and rehabilitation work held here under the leadership of Chief Minister Pinarayi Vijayan has decided to make maximum use of crowdfunding for the purpose. An internet portal has been set up for crowdfunding. Details of the work to be taken up by various departments should be submitted to the portal by the departments concerned urgently, it was decided. Chief secretary Tom Jose detailed the relief work being undertaken across the state. As many as 66 relief camps, accommodating 1,848 people, are still operational. The Rs 10,000 interim aid announced by the state government has been given to 5.94 lakh people. The damage sustained to power lines and power plants have been rectified. House and property of 954 people were completely lost in the flood. Besides, around 16,661 houses were fully destroyed, while 2.21 lakh houses were partially damaged. Pinarayi directed the officers to complete the construction and maintenance work of the houses at the earliest. Projects to enhance the productivity in the agriculture sector will be given priority in the rebuilding work in the sector. As many as 1.42 lakh people submitted applications to buy household appliances through Kudumbashree, of which 7,625 applications had been processed. Banks in the state have so far sanctioned a total of Rs 60.81 crore as loan. Cooperative banks sanctioned a majority of the loans. V K Ramachandran, vice-chairman of the State Planning Board, informed the meeting the board has devised packages to find livelihood means for people. A livelihood conference will also be convened under the aegis of the board on November 1 and 2. Around 3,600 milch cows were killed in the flood. For buying cows, the state government will provide Rs 33,000 to farmers and the latter have to arrange the remaining amount. Those looking for financial assistance for the purpose will be provided loans. A total of 114 anganwadis were completely destroyed while nearly 1000 anganwadis were partially damaged in the floods. Their reconstruction would require Rs 90 crore. As many as 35 police stations would also have to be constructed. Around 143 buildings of the Police Department suffered partial damage. Tom Jose said the Chief Minister’s Distress Relief Fund had so far received a total of Rs 1,740 crore as donations.